We believe in the highest-quality food products and The Cheese Shop is filled with hundreds of the best specialty food products available. When you come to our shop, we want you to learn about and taste our products. The more you know, the more you’ll appreciate them. Several times a year we travel to San Francisco, New York and Europe to discover new olive oils, balsamic vinegars, mustard, salts, pasta, sauces, coffee, tea, honey, chutneys, chocolates and crackers. 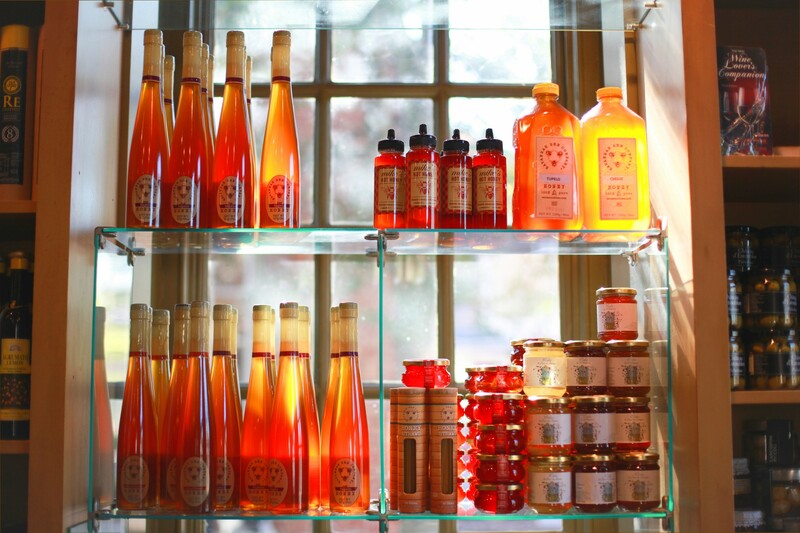 We feature artisan-made products as well as those made in small batches in Virginia and surrounding areas. When you have a memorable dinner at Fat Canary, our restaurant next door, then chances are pretty good that you’ll taste many of the same ingredients found in The Cheese Shop. If you can’t find your favorite specialty food products on our shelves then please let us know so we can order it for you. Our product inventory is fresh and our prices are reasonable. We want to have you as our customer for a lifetime. We hope that you’ll always feel welcome and appreciated at The Cheese Shop.